Tickets are $150 per couple and $75 for individual tickets and include dinner, two drink tickets per person and a signature drink. Tickets for sustaining members are $125 a couple. *All donations above ticket value will be guaranteed a ticket to the event. If you have any questions please call our office at 770.535.1951. No one under 21 is allowed admission into the ball. 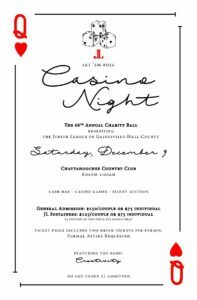 You can also call (770) 535-1951 to purchase tickets. We are proud to introduce our six belle candidates, who are all outstanding young ladies dedicated to furthering the mission of the Junior League to make the community a better place for women and children. Please take a minute to read more about our 2017 Belle Candidates below. 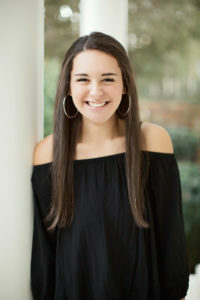 Abby is a senior at Gainesville High School and is incredibly honored to be representing the Kiwanis Club of Gainesville in this year’s Charity Ball. 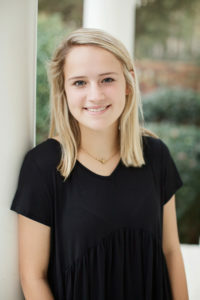 She is a four-year varsity athlete on the GHS volleyball team, serves on the yearbook staff, actively involved in Young Life, a summer camp counselor at YMCA Camp High Harbour, and a member of Gainesville First United Methodist Church. Abby is grateful for the opportunity to be able to give back to her community. Gracie Caudell is the daughter of Tammy and Chan Caudell. She is a senior at Lakeview Academy where she is the captain of the Varsity Volleyball team and has played for four years. Gracie is a member of Senior Beta Club, Environmental Club, FCA, Key Club, and Young Life. Outside of school, she enjoys time with her family and friends. Gracie also works at Jaemor Farms. Upon graduation, Gracie hopes to attend the University of Georgia. Gracie is honored to be a part of Charity Ball as a Belle candidate. 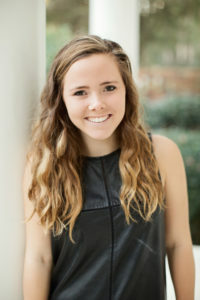 Madeleine Cook, the daughter of Matthew and Kate Cook, is a Senior at North Hall High School, where she has been a mid-fielder and co-captain on the Varsity Soccer team. Madeleine entered the North Hall STEM Program as a Freshman, after spending middle school at Lakeview Academy and elementary school at St. Luke School in Columbus, Georgia, and is currently maintaining a 4.2 GPA while dual-enrolling at UNG-Dahlonega. Madeleine had the honor of graduating from the Leadership Hall County Class of 2017, and has participated in DECA, Beta Club, InterAct, Partnership for Success and has served as a Trojan to Trojan leader at her school. In her community and state, she has volunteered with Habitat for Humanity, Gainesville Rotary Ramp Build, Children of the American Revolution, First United Methodist Church and Georgia Public Broadcasting. Madeleine’s first love is soccer, which she has been playing since she was seven years old. She currently plays on the premier SRPL team at United Futbol Academy, and has been recognized as an All-Area and All-Region player since 2015. Madeleine would like to take this opportunity to say hi to her sister Carol (9th grade) and brother Ethan (4th grade), who both attend Lakeview Academy. 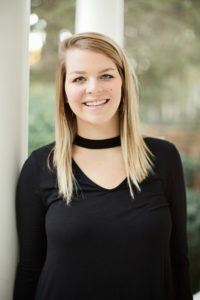 Ashley Filson, daughter of John and Beverly Filson, is the Charity Ball Belle candidate representing the Braselton Rotary Club. She is a senior at Gainesville High School. Ashley is a member of the Interact, Deca and Key clubs. She has also been a part of the Varsity volleyball team for three years. Outside of school, Ashley enjoys spending time with her family and friends, babysitting and working as a marketing intern at the Norton Agency. Upon graduation, Ashley plans to attend college and major in Business. Ashley is honored to be part of Charity Ball as a Belle candidate and is excited to help support the community by raising money to address the problems of childhood hunger and nutrition. Abby Gopfert is the daughter of Arthur and Bridget Gopfert. She is a senior at Lakeview Academy, where she is a member of the National Arts Honor Society and Fellowship of Christian Athletes association. Abby has played year round volleyball for five years as well as tennis for six. She has been a basketball cheerleader for three years during high school. She is also a captain of the varsity volleyball team, which she has played on for three years, will be a caption for this year’s basketball cheerleading squad, and will be a captain for this spring’s tennis and girls golf team. 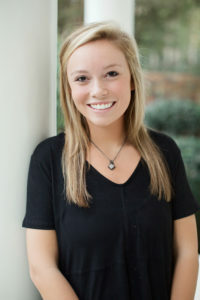 Abby is a member of Lakewood Baptist Church, as well as a part of the Young Life association in Gainesville. In the future, she hopes to obtain a degree in Biology and further her education to become a Dentist. Abby is honored to represent the South Hall Rotary Club at this year’s Charity Ball. She is grateful to have this opportunity and to give back to her community. Nicolle Pierce is a senior at Gainesville High School and is proudly representing Women’s Phoenix. She plans to attend Furman University in the fall and major in biological sciences with pre-med. Nicolle is the Varsity Football Cheerleading captain and President of Thespian Troupe 2445. She is actively involved in Son Servants mission trips, youth at First Presbyterian Church and Young Life. Nicolle is a proud member of Beta Club and has many academic achievements as an honor student. She is very thankful and excited to be a Belle this year! Sumner is a senior at Gainesville High School. 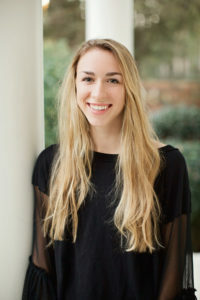 After she graduates, Sumner plans to attend either the University of Georgia or Auburn University. Sumner is the daughter of Andy and Jennifer Pirkle and granddaughter of Grady and Darlene Parrish and Clyde and Helen Pirkle. 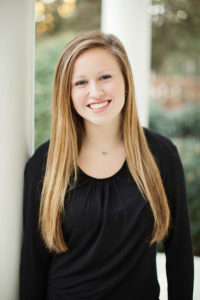 She is involved in several activities including varsity tennis, Key Club, Communiversity, Beta Club, Future Georgia Educators Club, Yearbook and Young Life. Sumner is also a member of First Baptist Church. The Junior League would like to give a special thank you to our sponsors and in-kind donors for their contributions to the 66th Annual Charity Ball.